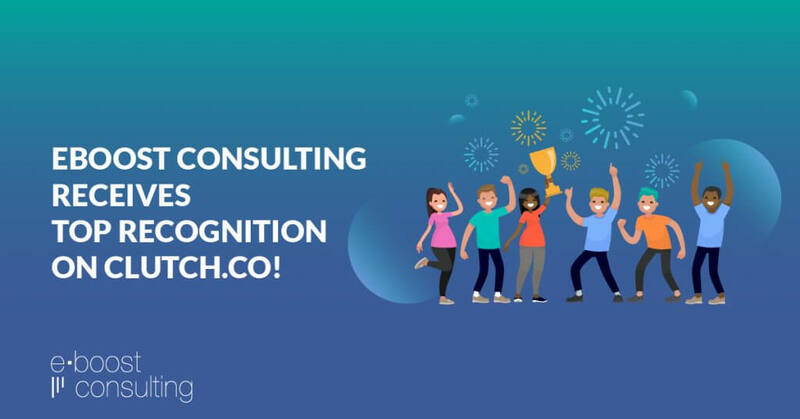 eBoost Consulting Receives Top Recognition on Clutch.co! eBoost Consulting is excited to share our recent inclusion in Clutch’s most recent press release. Clutch, a Washington, D.C. based ratings and reviews firm, has recently published their research on industry leaders across a variety of technology segments and locations. Based on a set of 12+ quantitative and qualitative factors, eBoost Consulting has been selected as an industry leader among a number of highly reputable firms for pay per click and social media marketing in San Diego. Both of these marketing techniques are constantly evolving. Whether it’s creating relevant social media content or building strong ad copy for PPC, eBoost Consulting is committed to consistently driving strong results even as trends change and new technology emerges. It is a great honor for us at eBoost Consulting to be recognized by Clutch as a top San Diego B2B company. Knowing this award is based on our own clients’ reviews and ratings makes it that much more gratifying. I am so proud of our team and the excellent work they produce day-in and day-out to deliver impactful results and help our clients achieve their marketing goals. In an industry that’s as competitive as ours, it’s essential to maintain strong client relationships. Even after the contract ends, they remain a voice for our business. For this reason, Clutch is a highly valuable platform. They speak with our clients to gather information about the collaboration, including details like the business challenge, cost, project management, and even areas for improvement. Overall, we’re grateful for this award, and more generally, to have Clutch as a partner, helping prospective buyers feel confident in our ability to build successful PPC and Social Advertising campaigns on their behalf.